Revolutionizing the 27 series arrow shaft has been a challenge few were willing to try and even fewer who found success. This revolution requires endless trial and error builds followed by countless shots out of the shooting machines and finished off with field testing by our Factory Pro Staff shooters. Years of dedication to research and design has led to the inception of the ultimate indoor MAX 27 arrow. 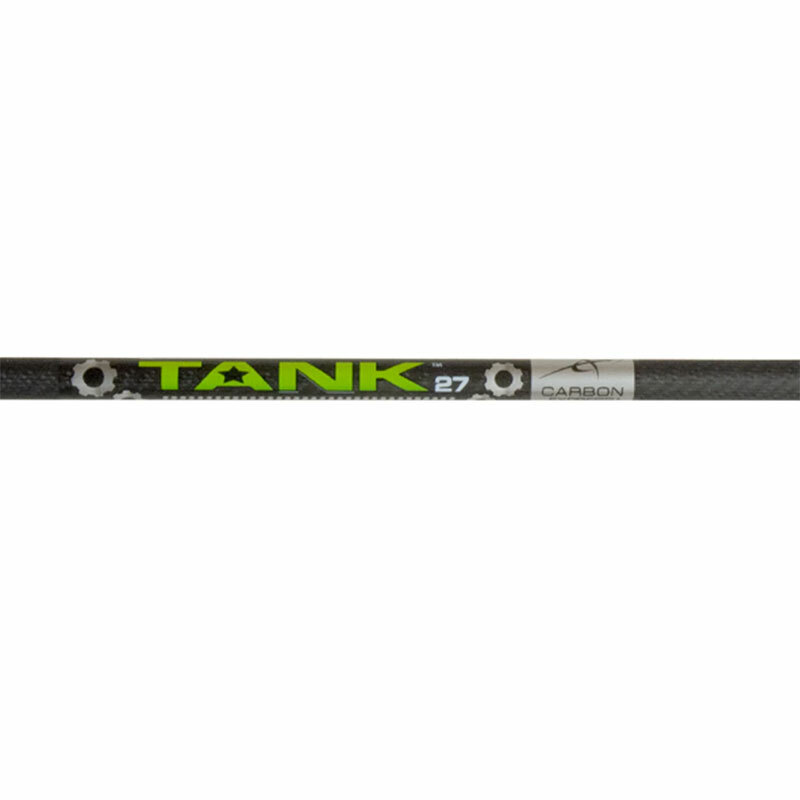 Birthed from the leader in carbon competition arrows, Carbon Express, the TANK 27™ combines a heavy build with industry leading consistent 360 degree spine. The result is the most accurate and forgiving 27 series arrow on the market.